Five on Friday | In Pictures. Trying to figure out what I would post about today, I realized I have five photos from this week that I haven’t yet shared with y’all. Here you go! Alaska Hat & Mitts … done! Looking back on the week, I’m reminded – yet again – how powerful photos are to tell our stories. I’m so grateful to each of you for reading mine! Have a wonderful weekend. Take photos! FO Friday | Shore Cardigan. 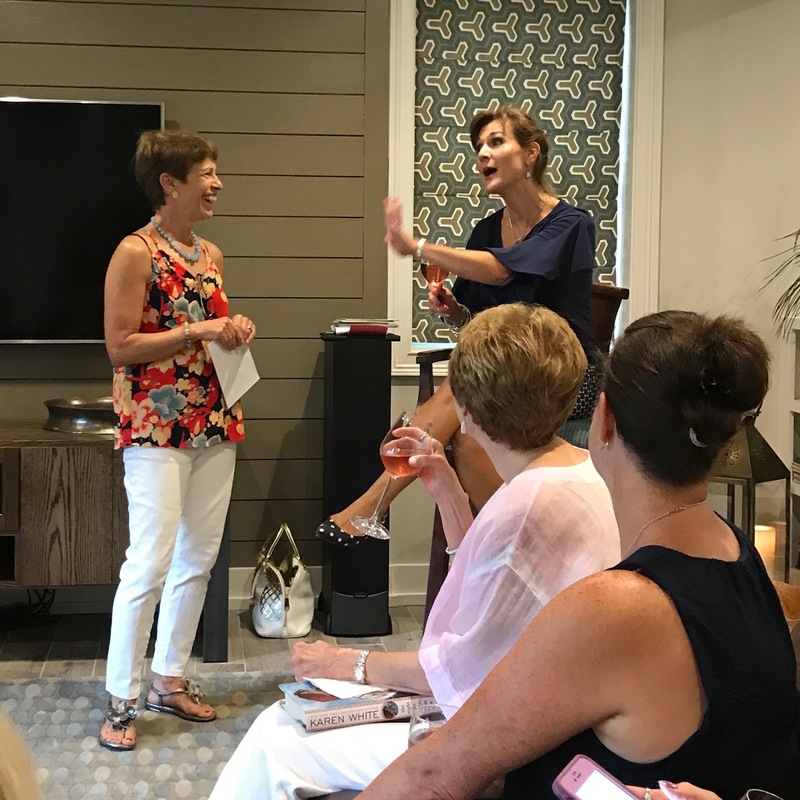 Bookclub with the author sounds really terrific! Your hat, mitts, and sweater look wonderful, along with the ice cream. 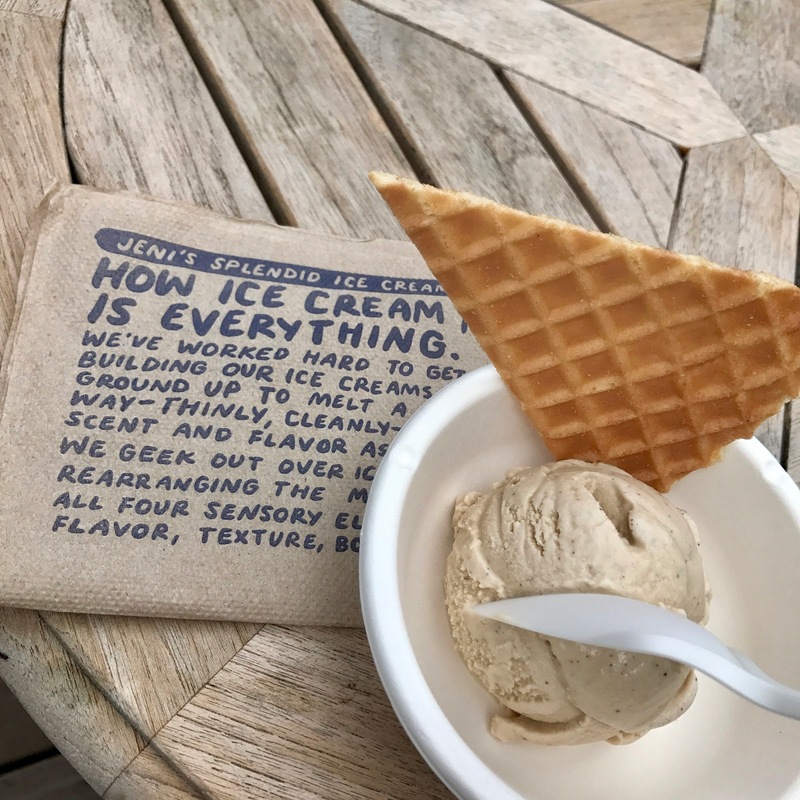 That coffee chip looks good enough for at least a whole scoop (or two). Hope you have a great weekend! I thought yesterday's photo was full of wonderful things, but wow, today's photos are fabulous! Trying to ignore the ice cream though I'm afraid that is my big weakness. I'm so excited about your Alaska trip – you will certainly have lots of lovely knits to wear! Happy weekend! Great photos…itsn't it fun when they all come together! And make a cool blog post? Congrats on finishing the sweater! And Hat/Mits look great! What will you knit on the cruise/trip? Those are wonderful photos of your week! Mary! You will be happy to know I have taken a photo a day every day since I've had my new phone and the collect app. It is your inspiration that keeps me going and it is, it will become, a habit! Thank you. All your knits look great! Coffee chip? I definitely would have had TWO scoops. Yum. What is the new project? Take photos is right! 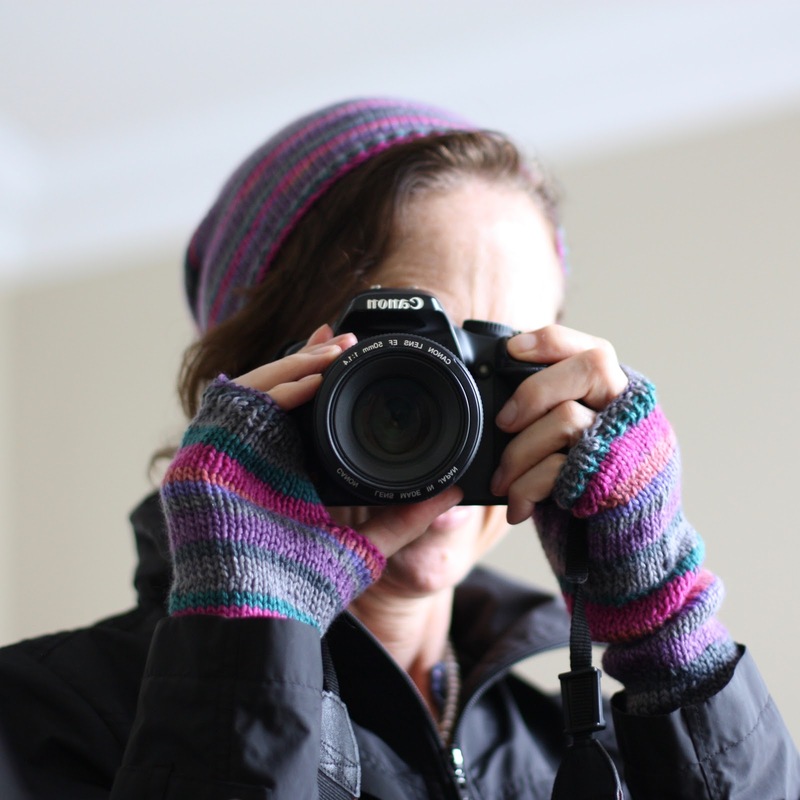 I love that photo of you with your camera, hat, and mitts! And, the pedicure with knitting! Hope your weekend was awesome! Oh my goodness, the time is TICKING… you'll be on your way in NO TIME now! !